Latin Trad Catholic nerd puns are THE BEST PUNS! For those of you who might not be Latin Mass goers yet, these are the words from the Confiteor, (Confiteor means “I confess…”), mea culpa, mea culpa, MEA MAXIMA CULPA, which means “my most grievous fault”. I confess to almighty God, to the blessed Mary ever Virgin, blessed Michael the Archangel, blessed John the Baptist, the holy Apostles Peter and Paul, to all the Saints, and to you, brothers, that I have sinned exceedingly in thought, word, and deed, through my fault, through my fault, through my most grievous fault. Therefore I beseech the blessed Mary, ever Virgin, blessed Michael the Archangel, blessed John the Baptist, the holy Apostles Peter and Paul, all the Saints, and you, brothers, to pray to the Lord our God for me. 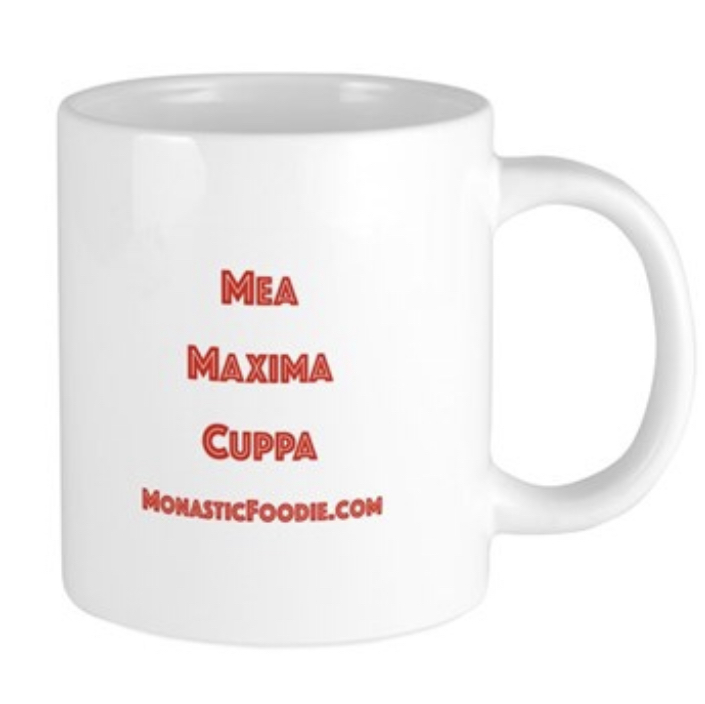 Mea maxima CUPPA works well as a cute pun, is a GREAT conversation starter, and could even serve as a little reminder that it might not be a bad idea to quickly make an Act of Contrition and plan on getting over to sacramental Confession…. I think this is just about the most clever and useful Christmas gift / stocking stuffer for that Trad Nerd (or cleric!) on your Christmas list. But wait! There’s more! We have the handsome coffee mug above, but look! 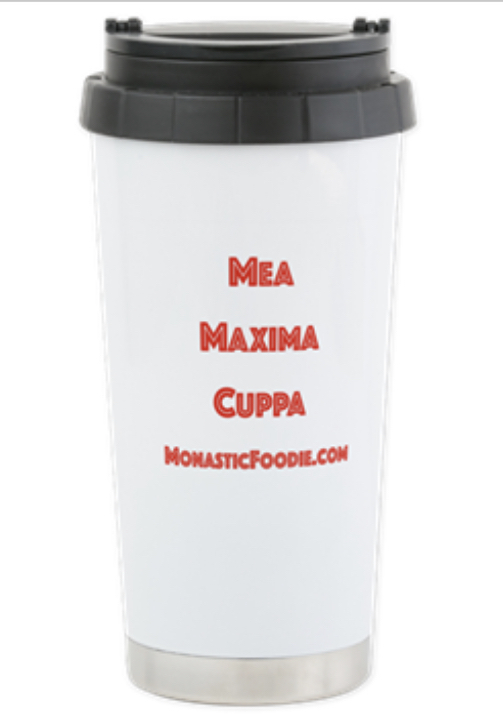 Here is an insulated car cup version! 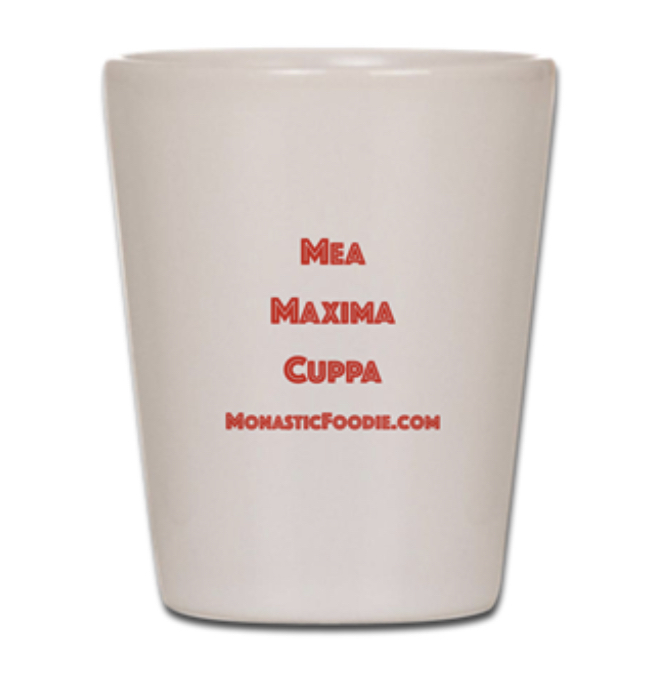 Perfect for those long drives to the nearest Traditional Mass! And for the beer drinker in your life? 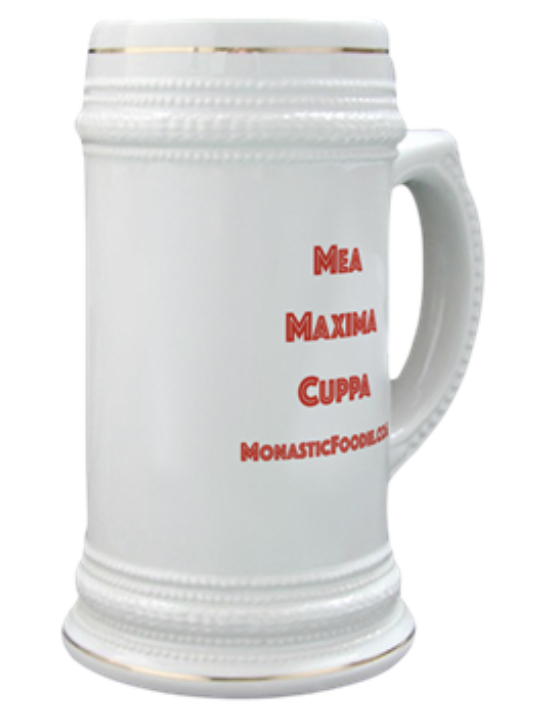 Here is the Beer Stein version! And for those who might take a wee dram of the ol’ Spiritus Frumenti… SHOT GLASS! There are actually TEN available styles, for ALL your hydration and gift-giving needs. Do check it out. And here, to get us into Advent, is a very nice instrumental version of the hymn of the season, “O Come, O Come Emmanuel”. This entry was posted in Uncategorized on December 2, ARSH 2018 by Ann Barnhardt.